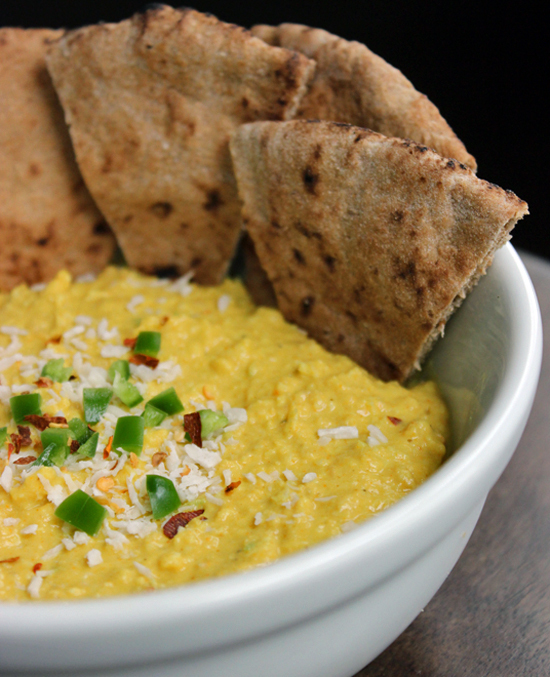 You might know turmeric as the yellow spice, which gives Indian curries and American mustards their pop of colour. But what does it do besides stain countertops and make for a vibrant-looking dish? Earlier this year, Google released their findings on “Food Trends” for 2016 in a report detailing what exactly Americans are googling where food and recipes are concerned. They compiled a list based on the seasonal popularity of items, analysed the number of queries per food item and the rate at which they get googled. Aside from finding that Americans are big on pasta and pho of late, and no longer interested in gluten-free baked goods, the report showed a dazzling amount of interest in the South Asian spice, turmeric. Turmeric saw a 56% rise in searches between November 2015 and January of this year, with most people searching for recipes and how to include turmeric in their diet (interestingly enough, searches spiked on Mondays). With keywords like “autoimmune disorders” and “liver detoxification” accompanying searches for turmeric, it seems people in the West are finally catching onto what some Asian cultures have known for centuries: turmeric is one of the most powerful medicinal foods out there. Researchers are releasing many studies profiling turmeric as an incredibly effective treatment against a host of chronic illnesses, garnering the praises of allopathic doctors and homeopaths alike. It gets this reputation for being a very potent antioxidant, which treats inflammation in the body. 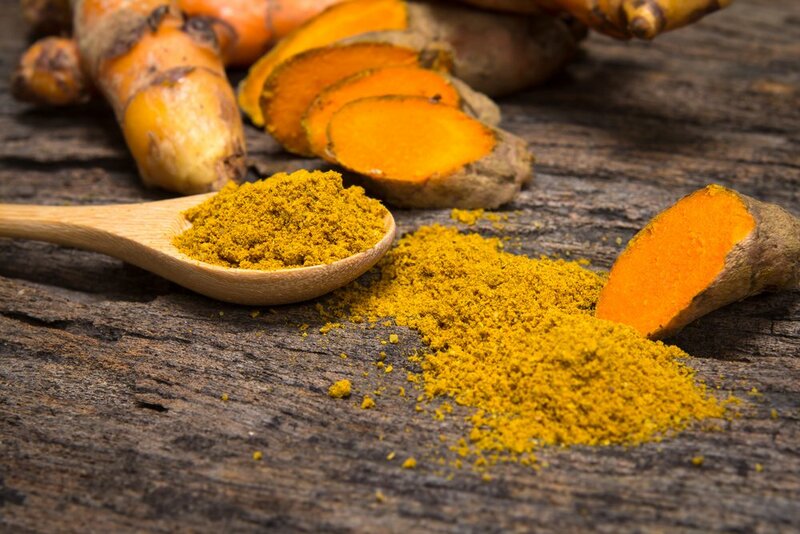 In fact, in many clinical trials, turmeric proved to be more effective in treating inflammation than its chemical counterparts such as “Motrin” and other NSAIDs (Nonsteroidal Anti-Inflammatory Drugs). It also has none of the negative side effects often accompanying NSAIDs, like stomach ulcers, gastritis and diarrhoea. The turmeric “Curcuma longa” plant is a relative of the ginger family and looks strikingly similar, with its rough, brown skin covering hard orange flesh that tastes bitter and sharp. It typically grows in tropical locations and is most prevalent in South Asian countries like India and Indonesia where the plant has been used for cooking and medicinal purposes for over 4000 years. The active ingredient in turmeric is “curcumin,” a powerful antioxidant and the component that gives turmeric its rich yellow colour. Curcumin fights and prevents free radicals in the body from damaging healthy cells and their membranes. Usually, it’s these free radicals that lead to pain, inflammation and swelling in the body. With well over 24 anti-inflammatory compounds- six of which are active anti-inflammatory inhibitors- turmeric certainly packs a punch in combatting inflammatory conditions. Patients with one such condition, rheumatoid arthritis, showed considerable improvement after consuming curcumin. Additionally, curcumin was found to improve liver function and halt the production of a protein responsible for the formation of cancerous cells, effectively slowing down the spread of cancer (at least it did so in the animal subjects used in the study). Nutritionally, turmeric offers a rich source of various nutrients including vitamin B6, iron and magnesium. 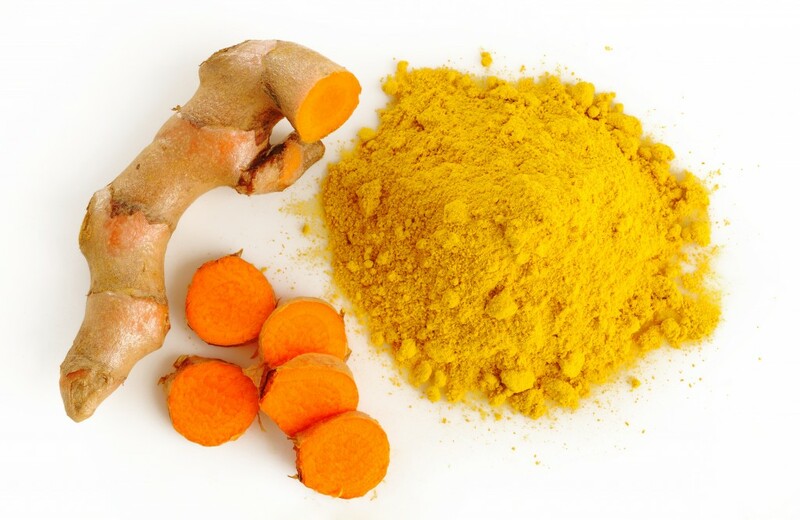 Fighting inflammation is only one in a swarm of chronic illnesses and health issues turmeric is helpful for. Its health benefits are so overwhelming and widespread, in fact, that if you played a game and pointed at any body part, turmeric might probably be beneficial for it in some way. heart diseases and stroke prevention. It also helps to relieve less serious afflictions such as toothache and menstrual pain. In too high doses, however, turmeric can cause stomach upset and pain. As it lowers blood sugar level, it can also cause hypoglycemia, which is a sudden onset of lethargy and nausea. Doctors recommend an intake of 400-600mg of turmeric three times a day to reap the full benefits. If you’re panicking about how many plates of curry you’ll have to eat to get there (by my calculations about four plates a day, if each plate contains one tablespoon of turmeric)- don’t worry! Going by the Google trend report, many Americans are confused about how to consume this food. 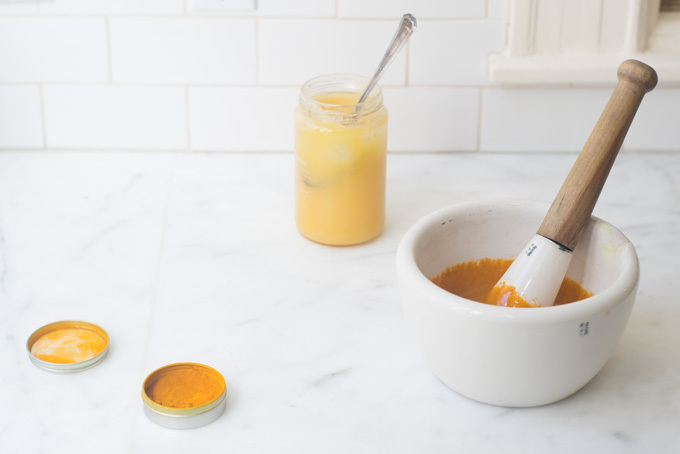 Homeopathic shops and pharmacies often provide turmeric, or rather it’s active ingredient curcumin, in a powdered form as tablets or in liquid form as a tincture, making it easy to ingest without the hassle of cooking. 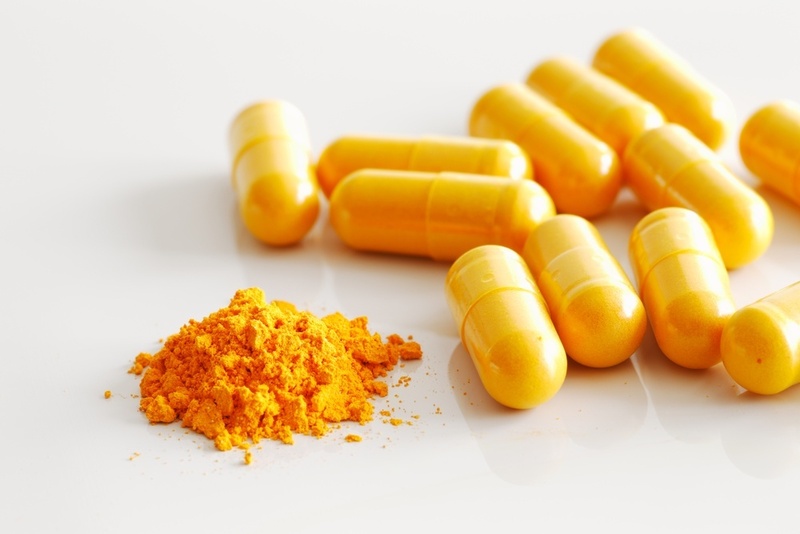 Turmeric Capsules – via Robinson Pharma, Inc.
For those keen on exploring culinary possibilities with turmeric, however, there is a wealth of delicious non-curry recipes out there that include the spice. Some of our favourites include a “Turmeric Tea” recipe for a morning boost or the scrumptious recipe for “Coconut Turmeric Hummus.” Other great recipes can be found here. Not keen on cooking or pill-popping? Companies like “Shakti” and “Temple Turmeric” have released organic, turmeric-infused lemonades and cold drinks to sip on at any point of the day. Whether you suffer from a seemingly incurable, painful chronic disease or find yourself simply wanting to spruce up your health a bit, you’d be pressed to find a more comprehensive and healthy food trend. Unlike many foods trends, however, turmeric grabs all the promise-giving headlines, but packs all the meticulous scientific research to back it up. It’s well worth a try and if nothing else, you might get a delicious curry out of it. Citizen of the world, boho chic, indigo child, foodie, cat lady.